Anyone who knows me knows of my love for dolls. I have a large collection and Ted and I once had a doll shop. I still buy and sell dolls at shows and online. But my favorite part of doll collecting is the doll collecting friends I have made over the years. One such friend is Melissa, who collects dolls but is also a miniaturist, she creates and recreates costumes for dolls, often based on famous illustrations and including accessories. See her blog here. 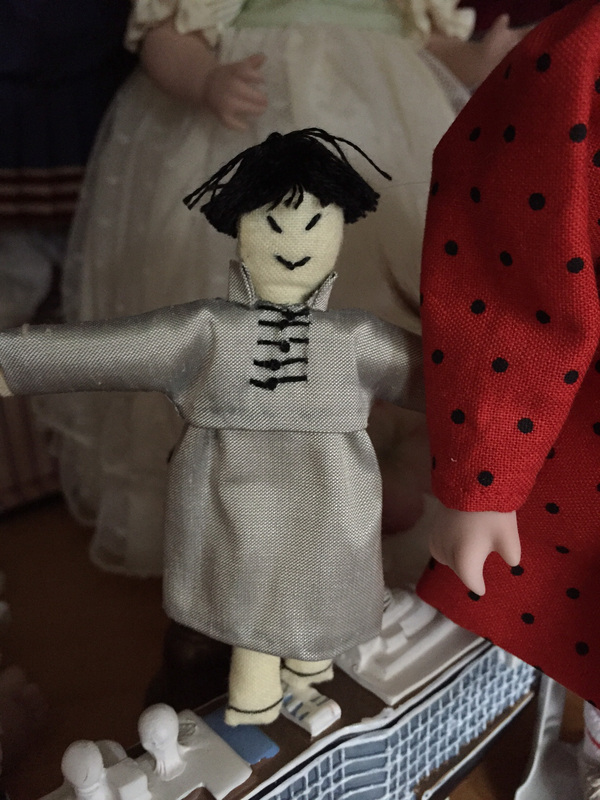 I was thrilled when she told me, after reading my recent blog, that she wanted to make a little “Merrily” doll that would represent the Merrily doll in the illustration of the cartoon character that gave me my name. I found a doll in my collection that I thought looked like the picture of “Merrily” and sent her to Melissa to recreate. Melissa thinks of every detail. 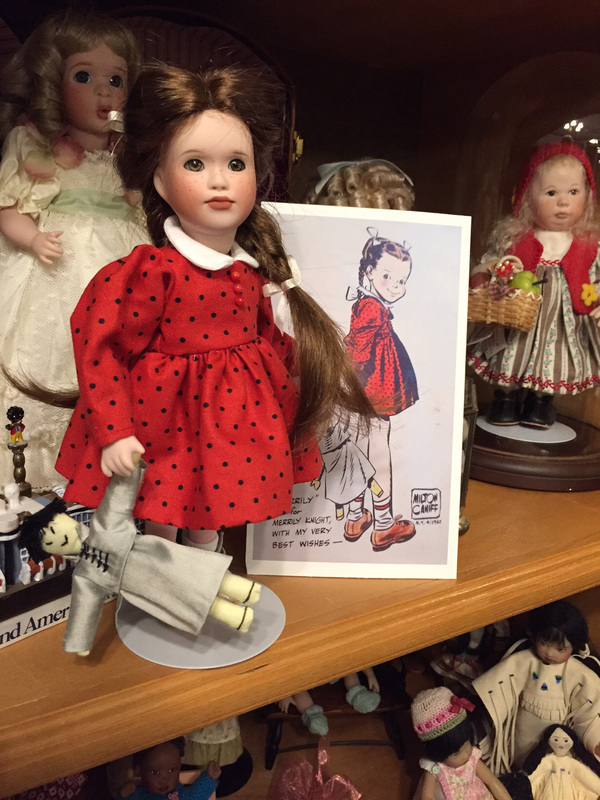 This doll has a wooden body, arms and legs, which allow her to be posed but creates a bit of a problem when the doll wears a short skirt as Melissa mentioned. And I love it that the little red band on the socks in the illustration matches the band on the dolls socks. This doll is a special treasure and I am placing her by my desk where I can see her and enjoy the pleasure of her company. 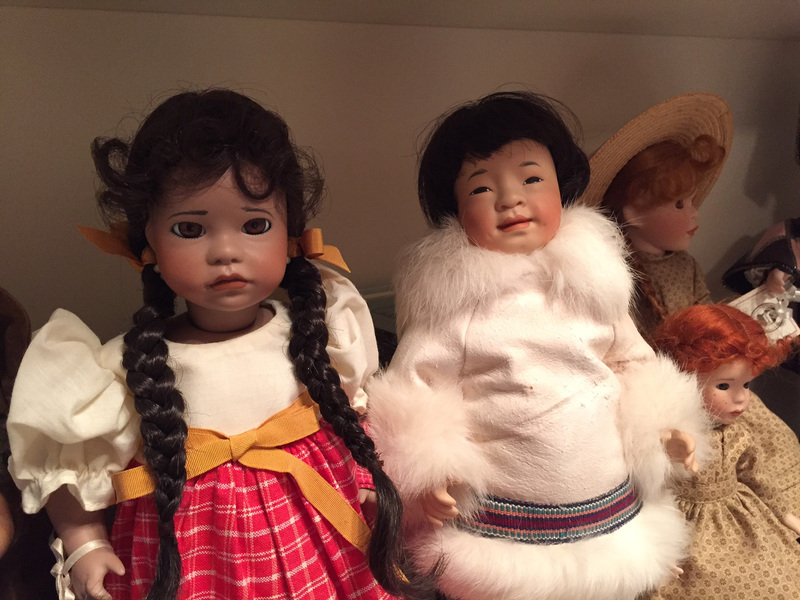 Internet groups are a popular way for doll collectors to get to know each other and to share information about their dolls. 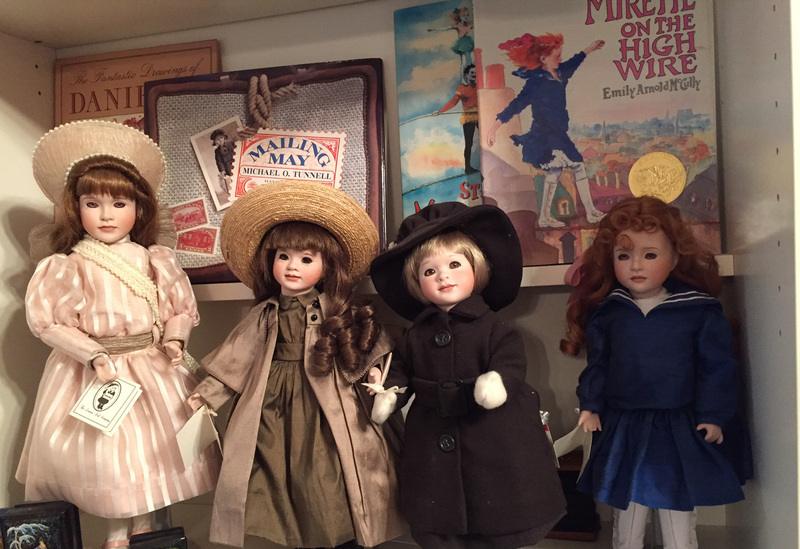 One such group, known as the lawtonloop@yahoo.com is for collectors of dolls made by Wendy Lawton, and members from across the country have become friends as a result of their love of these special dolls. 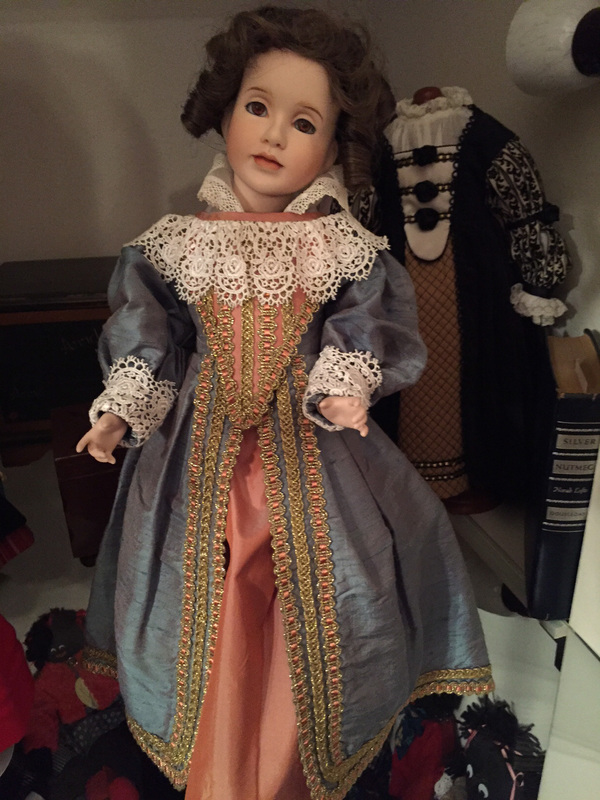 See some of my favorite Wendy Lawton dolls below. Melissa and I met in this internet group “on-line” but it was later that we first met in person. 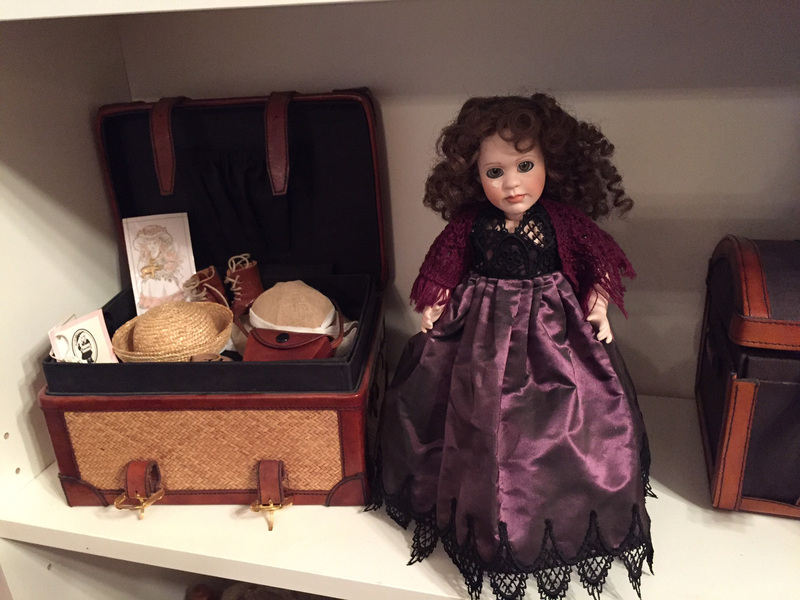 I had a booth at a doll show and one of the items I had for sale was a rare and much sought after doll called Mignonette and her Malle du Voyage. Melissa came into my booth and spotted the doll and I thought she was going to go into shock she was so excited. I was asking a fair price and we quickly sealed the deal, and Mignonette went home with Melissa. Be sure to see some of Melissa’s other creations, check her blog at House of Missy Mouse. A special friend and a special doll, I am so lucky! Mignonette, this is my doll but similar to the one Melissa bought from me years ago. 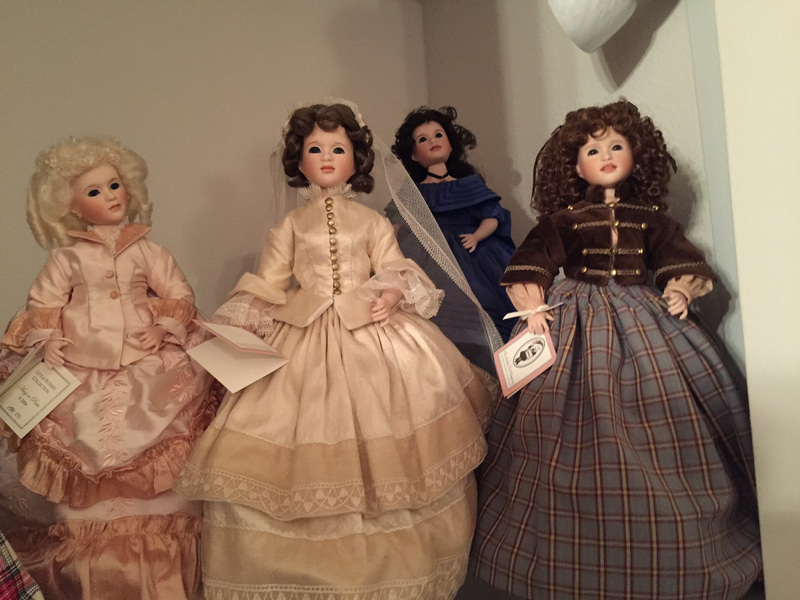 Here are of my favorite dolls by Wendy Lawton. “Merrily” was originally a Wendy Lawton doll, redressed by Melissa. I love this story from beginning to end. Leave it to Melissa to cover the wood so it looks more like a skin tone! Anyway, I think you are both great women. A gracious, gracious gift for a gracious lady. Thanks Kathleen, this has been such fun! !